To the Graduates of January 2019, congratulations and thank you so much for entrusting us with this part of your journey. You are world changers! The lives you’re about to impact – because of your bold decision to pursue your passion and calling – will, in turn, change the world. 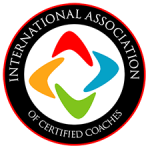 LCTI Graduates 63 Coaches from 12 Countries in April 2018!